[FREE IRAN Project] In The Spirit Of Cyrus The Great :: View topic - Global Warming: Point of No Return? Posted: Mon Feb 19, 2007 6:59 pm Post subject: Global Warming: Point of No Return? Global Warming: Peter Frumhoff of the Union of Concerned Scientists discusses the catastrophic results of world growing dangerously warmer; he describes his work as a race against time. Al Gore Gets An Oscar!! WASHINGTON -- The Supreme Court cleared the way Monday for a more aggressive attack by government on global warming, which could include the first national rules to limit carbon dioxide emissions from new cars, trucks and power plants. In a 5-4 decision, the court rebuked the Bush administration and ruled that so-called greenhouse gases -- like carbon dioxide -- are air pollutants subject to federal regulation. Bush and his aides, allied with automobile makers, argued that federal officials did not have the power to set mandatory limits on emissions of the gases. A concerted federal effort to restrict greenhouse gases may not occur until the White House changes hands in January 2009. But at the least, the ruling knocked down a legal barrier that stood in the way of plans by several states to require reduced carbon emissions by new vehicles, starting in 2009. The rise in the emissions of greenhouse gases has been linked by an array of scientists to a steady and potentially catastrophic rise in air temperatures. However, the administration maintained that the gases were not air pollutants as defined by the Clean Air Act. That measure, passed in the 1970s, targeted specific pollutants, such as lead, that cause dirty air. In its Monday ruling, the Supreme Court majority agreed that global warming represents a different kind of air-pollution problem. Gases such as carbon dioxide, once released into the atmosphere, "act like a ceiling of a greenhouse, trapping solar energy and retarding the escape of reflected heat," the court said. The majority opinion, written by Justice John Paul Stevens, said that the Clean Air Act said the Environmental Protection Agency shall regulate the emission of "any air pollutant" that is likely "to endanger public health or welfare." He noted that the word "welfare" is defined broadly to include "effects on the climate and weather." In scolding the EPA for not moving to regulate greenhouse gases, he said the emissions fit well within the law's definition of air pollutants and that the agency "has the statutory authority to regulate the emission of such gases from new motor vehicles." The court did not say EPA must set national emissions standards for motor vehicles. But it made clear the agency must make its case if it chooses not to act. "Under the clear terms of the (law), EPA can avoid taking further action only if it determines that greenhouse gases do not contribute to climate change or it provides some reasonable explanation" why regulations are not needed, Stevens said. New regulations limiting greenhouse gases would probably force automakers to produce vehicles that burn less gasoline. Concurring with Stevens' opinion in the case were Justices Anthony M. Kennedy, David H. Souter, Ruth Bader Ginsburg and Stephen G. Breyer. Disagreeing were the court's four most consistently conservative members -- Chief Justice John G. Roberts Jr. and Justices Antonin Scalia, Clarence Thomas and Samuel A. Alito. Roberts, in his dissent, said that even though global warming may be "the most pressing environmental issue of our time," how to deal with it should be resolved by Congress and the president, not the court. A former Bush administration lawyer at EPA said she was disappointed in the ruling. "I agree with Chief Justice Roberts that the court stepped into a policy issue that is better left to Congress," said Ann R. Klee. "We need a global political solution to the global warming problem." Automobile makers have said they are producing more fuel-efficient vehicles, but that federal limits on emissions would put them at a competitive disadvantage. Reacting to the court's decision, Dave McCurdy, president of the Alliance of Automobile Manufacturers, said the industry wanted to work "constructively" with Congress and the administration on a "national . . . economy-wide approach to addressing greenhouse gases." 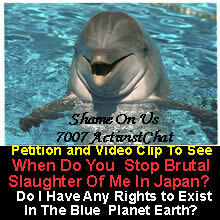 Environmentalists, however, hailed the case's outcome. Durham, NC � The Supreme Court�s ruling that the U.S. Environmental Protection Agency has the power to regulate carbon dioxide emissions from cars opens the door for a concerted, nationwide approach to dealing with global warming, say two Duke University environmental experts. Tim Profeta, director of Duke�s Nicholas Institute for Environmental Policy Solutions, said, �Today�s ruling flips the greenhouse gas debate completely on its head, by giving the next administration the authority to simply regulate carbon dioxide emissions without waiting for Congress. Cap-and-trade programs are those that set overall authorized caps on emissions and then allow the buying and selling of those emissions credits. By a 5-4 vote, the Supreme Court ruled that the EPA has offered no reasoned explanation for its refusal to regulate vehicles� emissions of carbon dioxide and other greenhouse gases related to global warming. The ruling is considered to be one of the most important on environmental issues to reach the Supreme Court in decades. It marks the first high court decision in a case that involves climate change. �With this landmark ruling out of the way, we can finally roll up our sleeves and get to work on the problem of global warming,� Jackson said, adding that he could envision a cap-and-trade system that initially is implemented nationwide but ultimately expanded worldwide. BRUSSELS, Belgium- As the world gets hotter by degrees, millions of poor people will suffer from hunger, thirst, floods and disease unless drastic action is taken, scientists and diplomats warned Friday in their bleakest report ever on global warming. Yet that grim and still preventable future is a toned-down prediction, a compromise brokered in a fierce, around-the-clock debate among scientists and bureaucrats. Officials from some governmentsmanaged to win some weakened wording. the associated press Journalists and others listen to a report on climate change at the EU Charlemagne building in Brussels, Friday. Even so, the final report "will send a very, very clear signal" to governments, said Yvo de Boer, top climate official for the U.N.
, which in 1988 created the authoritative climate change panel that issued the starkly worded document. _Instead of saying "hundreds of millions" would be vulnerable to flooding under certain scenarios, the final document says "many millions." _Instead of suggesting up to 120 million people are at risk of hunger because of global warming, the revised report refers to negative effects on subsidence farmers and fishers. "The poorest of the poor in the world _ and this includes poor people in prosperous societies _ are going to be the worst hit," said Rajendra Pachauri, chairman of the Intergovernmental Panel on Climate Change. "People who are poor are least able to adapt to climate change." LONDON, England (Reuters) -- Environmental campaigner Al Gore hopes the Live Earth concerts on July 7 will do for climate change awareness what Live Aid did for Africa. The former U.S. Democratic presidential candidate is spearheading efforts to get the world of pop music to back his crusade to avert what he calls a "planetary emergency," and already has Madonna and the Red Hot Chili Peppers on board. "The Live Earth concerts on July 7 of this year will be the largest musical event in world history and the beginning of the biggest change we've ever had to make," Gore told Reuters in a recent interview to promote the concerts. "It will be profitable for us. People who make the change to less pollution are going to find that their lives are better, the jobs are better. "But we have to really make a commitment to this change, and that's what the Live Earth concert is really designed to symbolize and kick off." The former U.S. vice president said there would be a series of concerts held across the world over a 24 hour period. Following the model Bob Geldof used for his anti-poverty Live 8 gigs in 2005, Live Earth will be held in Johannesburg, London, New Jersey, Rio de Janeiro, Shanghai, Sydney and Tokyo. A U.S. venue was only announced on Tuesday after some Republicans in Congress rebuffed Gore's suggestion to stage a gig on U.S. Capitol grounds in Washington. Organizers say the concerts could be watched and heard by two billion people worldwide, and acts already confirmed for London include James Blunt, Madonna and Red Hot Chili Peppers. "It will ... mobilize public opinion in ways that we hope will affect public policy and nations from the United States to China and every place in between," said Gore. Gore believes that recruiting world famous performers is an important way of getting the message on climate change out. He has already caused a stir in Hollywood with "An Inconvenient Truth", the Oscar-winning documentary he inspired with his slideshow, and celebrities like Leonardo DiCaprio and Sheryl Crow are active environmental campaigners. A handful of complaints about Live Earth have already surfaced on the Internet, with bloggers questioning whether pop stars and their taste for conspicuous consumption are the best advocates for cutting fossil fuel emissions. Gore himself has come under attack for high energy consumption at his home, although the 59-year-old defended his environmental record. "It was very misleading," he said of the report from a Tennessee-based think tank. "My wife and I, first of all, we have combined our home and office so the office activities are included in that. "But more importantly we pay for green energy from sources like wind power that don't produce CO2 and at present in the United States, at least, that means paying considerably more to bypass the CO2 pollution. "I'm walking the walk as well as talking the talk, and there will always be those who don't like the message and who want to attack the messenger." Gore, who was vice president under Bill Clinton for two terms and narrowly lost a controversial presidential election to George W. Bush in 2000, said environmental campaigning had taken the place of politics. "I don't have any plans to be a candidate again." When asked if he was enjoying his return to the limelight in a new guise, he replied: "It's hard to enjoy something that is premised on solving this crisis that is very threatening. I think a great deal about my children and grandchildren. "But alongside that, if you're doing work that feels fulfilling and useful and worthwhile, then there's a certain joy of labor that goes into that." Incomplete Draft 3 Notes: Global Warming The Point Of No Return - Why and How Did We Get Here? Who Was A Nut Mr. Simon? You Or His Majesty Shah Of Iran? Ask Global Warming Concerned Scientists, Who Was Mad? 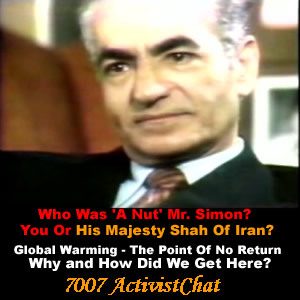 Shah Of Iran or Simon or other Careless Elected Officials In Free World who ignored Shah Of Iran, and Al Gore warnings over 30 years ago �? We have to wonder what future generations are going to say about us if we can not stop this stupidity of careless free world politicians who are directly responsible for Global Warming of No Point of Return , this madness of our generation will get the blame for letting it happen. The Free World government wrong energy policies, our Cars, our City Planning , our Home Buildings, our office Buildings � are all based on cheap oil and energy with endless supply of energy without considering any side effects and consequences. This open letter exists to raise global awareness about global warming and to help understand the problem, how dots connected and looking for solution and do not approve of the way this problem is being handled by Free World elected officials and UN in past 30 years. The pollution, especially from cars is a major cause of global warming. 3)	In past 30 years major wars happened: Iran-Iraq War, Islrael-Arab Countries Wars, Afghanistan-Russia War, Iraq-US Gulf War 1, Afghanistan �USA War, War Iraq-US Gulf War 2 �. Cheap Oil increased irregular massive consumption and oil addiction in past 30 years and resulting Global Warming �. 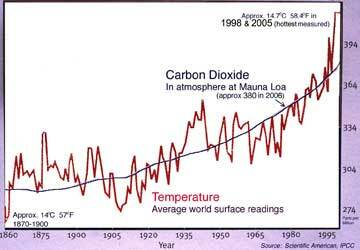 Paris, 2 Feb 2007 -- The world's climate scientists today reported unequivocally that the Earth's climate system is increasingly heating up and that it likely has not been this warm for at least 1300 years. The fourth report of the UN's Intergovernmental Panel on Climate Change says that evidence for this includes more than increases in global average air and ocean temperatures. 1) In past 28 years the Iranian people under Islamist rules lost so much that the list is so big that we should read it in many articles and books. 2) In past 30 years EU countries, Japan and China enjoyed buying cheap oil and EU3 added over 3 dollars taxes to each Gallon for covering EU3 government expenses while American people are paying for Persian Gulf Oil protection by very expensive US Navy forces, in reality US is subsidizing OIL for EU3, China and Japan without good return to destroy American Jobs, standard of living and economy. American work force and American blood created EU3 welfare while 50% of American people can not afford even Health Care insurance . 4) G7 countries are partially responsible for helping to create and support corrupt Islamist Government in Iran and indirectly responsible for Islamist Terrorists �. Why and How did we get here? Over 2500 years ago The Ethical Persian Empire created by Cyrus The Great with the simple philosophy of Good Words, Good Thoughts and Good Deeds based on Human Rights and in past 30 years G8 countries policy towards Iran, Iraq and Afghanistan and others was based on Bad Words, Bad Thoughts, Bad Deeds, Extreme Greed , Ignore Human Rights, Not Support Secular Democracy Bribe and Support Islamic Fascist Occupiers Of Iran for Cheap Oil , exploitation of their resources and selling Arms for short term profit�..
Video Clip Global Warming: Professor Peter Frumhoff of the Union of Concerned Scientists discusses the catastrophic results of world growing dangerously warmer; he describes his work as a race against time. Who Is Professor Peter Frumhoff ? Who Was William Edward Simon? administration. He was reappointed by President Ford and served until 1977. Iran and the world's great powers". Dying from cancer a quarter-century ago, the deposed shah of Iran pressed on me a fundamental point about his nation that has become even more vivid over the past two weeks. What the shah said, and almost said, then sheds light on the confrontation occurring between Iran and the world's great powers. Mohammad Reza Pahlavi died weeks after our 1980 conversation in Cairo. It has taken the ayatollahs and other Islamic radicals who followed him to reveal how far backward, and forward, stretched the deeper meanings of the words he spoke, which had to be condensed into a conventional news story on that May day. Iran is after all a place where reality usually comes not in words but in meaningful details that underlie -- and often belie -- the words. Fooling foreigners and adversaries is an ancient Persian art form. Saying exactly what you mean is a crude and dangerous way to talk, or to negotiate. Such a telling detail lay beneath the shah's descriptions to me of how the British and American governments deliberately helped Ayatollah Ruhollah Khomeini bring down his regime in 1979. His bitter Anglophobia came to mind again the other day as I watched film of President Mahmoud Ahmadinejad blustering his way through the histrionic release of 15 British military captives and then, in the days that followed, defying the world anew over Iran's nuclear ambitions. The detail was that the shah blamed London much more than he blamed Washington for his fate. The Americans had been children playing at complicated games of power and espionage, while imperial Britain purposely mounted the plot to win favor with the ayatollahs. Or so the shah asserted. The 15 captives grabbed by Iranian Revolutionary Guards in Iraqi waters on March 23 simply may have been targets of opportunity. But I doubt it. They were almost certainly seized as bargaining chips. In any event, Ahmadinejad played up their nationality in ways that suggest the imprint of the colonial era has not faded much from the Iranian political subconscious since the days of the shah. It still pays to twist the British lion's tail, even in nations where imperial control was largely indirect and economic. Cultural history also plays an important role in the confrontation over Iran's determination to control uranium enrichment on its own soil despite international fears that Iran's secret goal is to develop nuclear weapons. Every discussion I have had with Iranian officials on the nuclear program has included a pointed reminder that it was the shah -- with American and French encouragement -- who started the nuclear energy program that Ahmadinejad and the ayatollahs are carrying forward. These officials leave hanging unspoken this political fact of Iranian life: Their giving up control of the enrichment of uranium would open them to charges of being less nationalistic than was the shah. The historical force of past intervention in Iran's affairs is obviously no justification for kidnapping British sailors and marines, for pursuing nuclear weapons, or for supporting terrorism in Iraq, Israel and elsewhere. But it is important for Americans to recognize how deep is the imprint of the past and how demagogues exploit it when they are in trouble. It will take broad and sustained campaigns of political and economic pressures to force change in the behavior of any Iranian regime. Consider the bombast of Ahmadinejad and his aides in grabbing hostages again, in threatening to pull out of the Non-Proliferation Treaty and in saying they will cut off negotiations if the United Nations continues to condemn Iran's nuclear program. The meaningful detail in Iranian threats not to talk to the West is that the Iranians are still talking to the West, however theatrically and unconvincingly. They stall, but they remain engaged, trying to fend off impending isolation. This demonstrates that the financial and diplomatic pressures orchestrated by the Treasury and State departments are taking their toll on Ahmadinejad's regime. They should be continued and intensified where possible. Among those voting against Tehran on the latest Security Council censure were South Africa, which often breaks with the West on political issues to bolster its nonaligned credentials, and Indonesia, the world's most populous Muslim nation. Those votes were body blows to Tehran's pretense that the nuclear dispute reflects a continuing victimization of Third World peoples and resources by the rapacious British and other Westerners. So is the visible irritation of Russia's Vladimir Putin with Iran's refusal to consider his offers to guarantee Iran access to peaceful nuclear energy. The diplomatic effort to assemble a united international front against Iran is paying off. One sign: President Bush displays no sense of urgency about having to decide on military action against Iran, recent visitors to the White House report. History, ancient and recent, shows that his best option is to continue on the high road of multilateral, peaceful pressures. Those who are young enough to remember the November-December 1972 oil crises created by the Arab Oil producers can also remember that the only country remained out of this crisis helped the world, especially the Israel which was in war with Arabs, it was Iran . Yes, that was Shah of Iran who decided not interfering in such crises. This was before kidnap of Ahmad Zaki Yamani, and Jamsheed Amoozegar along with a few others by so called � never found � Carlos the Terrorist. Those days were high times. Shah of Iran passionately emphesized cataclysm of the oil that the world would face if did not seriously look into the tragedy of massive usage of the OIL. The world has never faced Peak problem like OIL crisis as year 1972. Europe had no gas in its gas pumps, the houses were facing a harsh winter. Most European were traveling on the bicycle, in Netherland anyone driving car over weekend did get ticket or booed by the pedestrians. Any traveler 200 Kilometer before the border did not get gas in the leaving country but in the next destination other side of the border. All it was due to the Arabs action. Shah of Iran , passionately, brought the disastrous era ahead to the attention of the world�s nations. He was well aware that we would have to face massive crises if we did not find alternative or replacement for the oil, so we are preserving the remaining �Black Gold� for our children. He mentioned that without massive mitigation for fact we would face such crises that people might kill each other for a drop of OIL. Him and his nation with such vision were the only one being sacrificed, the reason; saying the TRUE FACT. Today after 35 years, him and his nation facing dilemma, a leader with such advanced thoughts gets replacement with a retarded regime like of �Islamic Republic� and leader as Khomeini leading to a ridiculous result as Ahmadinejad. Herein attached you are going to read the synopsis of a film coming soon; in my opinion it seems that this is direct hit by the European, in particular Britons against America. It has mention of America �s passion for Middle East OIL, but has no mention of such THIRST by Britons, China , and Europe . The problem will be pervasive and will not be temporary if the world did not solve the Global Warming issue, distancing from OIL. This would put an end to the life of Terrorist Regime of Ayatollahs as well as Iraq dilemma and the fear of terrorism around the world. In my opinion the terrorists are funded by the oil companies, so they can benefit the most out of �buy back agreements�. OilCrash, produced and directed by award-winning European journalists and filmmakers Basil Gelpke and Ray McCormack, tells the story of how our civilization�s addiction to oil puts it on a collision course with geology. Compelling, intelligent, and highly entertaining, the film visits with the world�s top experts and comes to a startling, but logical conclusion � our industrial society, built on cheap and readily available oil, must be completely re-imagined and overhauled. You needn�t be a conspiracy theorist to see a connection between America�s current obsessions with the Middle East and national security, and the world�s looming oil crisis. The frenzied search for alternative sources of energy now being pursued by the largest multinational energy corporations makes it clear they also believe a crisis is fast approaching. Each day�s headlines, whether the subject is Iraq or South America , sheds new light on the issue. The film includes in-depth, thought-provoking interviews with Colin Campbell, Matt Simmons, Roscoe Bartlett, David Goodstein, Matt Savinar, Terry Lynn Karl, Fadhil Chalabi, Robert Ebel and many others. Shot on location at oil fields in Azerbaijan , Venezuela , the Middle East and Texas , with original music by Daniel Schnyder and Philip Glass, the film provides not only questions, but possible solutions to the most perplexing and important economic, environmental and public policy issue of our time. "The world has never faced a problem like Peak Oil. Without massive mitigation more than a decade before the fact, the problem will be pervasive and will not be temporary. Previous energy transitions (wood to coal and coal to oil) were gradual and evolutionary; oil peaking will be abrupt and revolutionary." Description: John Perkins, Part 1 The first of a three part speech given to the Veterans For Peace National Convention, Seattle, WA in August 2006. Author of Confessions of an Economic Hit Man, in this part John discusses, from a hit mans perspective, the reasons and background to why we are at war in the Middle East. Description: John Perkins, Part 2. The second of a three part speech given to the Veterans For Peace National Convention, Seattle, WA in August 2006. Author of Confessions of an Economic Hit Man, in this part John discusses, from first hand experience, the globalization efforts of the corporatocracy in Central and South America. Description: John Perkins, Part 3. The third of a three part speech given to the Veterans For Peace National Convention, Seattle, WA in August 2006. Author of Confessions of an Economic Hit Man, in this part John takes Q & A and discusses actions which can be taken to counter the globalization efforts of the multi-national corporations. We have arrived at the end of this book, and also at a beginning. You are probably wondering where to go next, what you can do to stop the corporatocracy and to end this insane and self-destructive march to global empire. You are ready to leave the book behind and pounce on the world. You want ideas, and I could offer you some. I could point out that the chapter you just read, about Bechtel and Halliburton in Iraq, is old news. By the time you read it, it may seem redundant. However, the significance of those newspaper articles goes far beyond the timeliness of their content. That chapter, l hope, will change the way you view the news, help you to read between the lines of every newspaper article that comes before you and to question the deeper implications of every radio and television report you tune in to. Things are not as they appear. NBC is owned by General Electric, ABC by Disney, CBS by Viacom, and CNN is part of the huge AOL Time Warner conglomerate. Most of our newspapers, magazines, and publishing houses are owned - and manipulated- by gigantic international corporations. Our media is part of the corporatocracy. The officers and directors who control nearly all our communications outlets know their places; they are taught throughout life that one of their most important jobs is to perpetuate, strengthen, and expand the system they have inherited. They are very efficient at doing so, and when opposed, they can be ruthless. So the burden falls on you to see the truth beneath the veneer and to expose it. Speak it to your family and friends; spread the word. I could give you a list of practical things to do. For instance, cut back on your oil consumption. In 1990, before we first invaded Iraq, we imported 8 million barrels of oil; by 2003 and the second invasion, this had increased more than 50 percent, to over 12 million barrels. The next time you are tempted to go shopping, read a book instead, exercise, or meditate. Downsize your home, wardrobe, car, once, and most everything else in your life. Protest against �free� trade agreements and against companies that exploit desperate people in sweatshops or that pillage the environment. I could tell you that there is great hope within the current system, that there is nothing inherently wrong with banks, corporations, and governments - or with the people who manage them - and that they certainly do not have to compose a corporatocracy. I could go into detail about how the problems confronting us today are not the result of malicious institutions; rather, they stem from fallacious concepts about economic development. The fault lies not in the institutions themselves, but in our perceptions of the manner in which they function and interact with one another, and of the role their managers play in that process. In fact, those highly effective worldwide communications and distribution networks could be used to bring about positive and compassionate changes. Imagine if the Nike swoosh, MacDonald's arches, and Coca-Cola logo became symbols of companies whose primary goals were to clothe and feed the world's poor in environ- mentally beneficial ways. This is no more unrealistic than putting a man on the moon, breaking up the Soviet Union, or creating the infrastructure that allows those companies to reach every corner of the planet. We need a revolution in our approach to education, to empower ourselves and our children to think, to question, and to dare to act. You can set an example. Be a teacher and a student; inspire everyone around you through your example. I could encourage you to take specific actions that will impact the institutions in your life. Speak out whenever any forum presents itself write letters and e-mails, phone in questions and concerns, vote for enlightened school boards, county commissions, and local ordinances. When you must shop, do it consciously; get personally involved. I could remind you of what the Shuars told me in 1990, that the world is as you dream it, and that we can trade in that old nightmare of polluting industries, clogged highways, and overcrowded cities for a new dream based on Earth-honoring and socially responsible principles of sustainability and equality. It is within our power to transform ourselves, to change the paradigm. I could enumerate the amazing opportunities we have available to us for creating a better world, right now: enough food and water for everyone; medicines to cure diseases and to prevent epidemics that needlessly plague millions of people today; transportation systems that can deliver life's essentials to even the most remote corners of the planet; the ability to raise literacy levels and to provide Internet services that could make it possible for every person on the planet to communicate with every other person; tools for conflict resolution that could render wars obsolete; technologies that explore both the vastness of space and the most minute, subatomic energy, which could then be applied to developing more ecologic and efficient homes for everyone; sufficient resources to accomplish all of the above; and much more. I could suggest steps for you to take immediately, to help others understand the crises and the opportunities. Offer study groups about Confessions of an Economic Hit Man at your local bookstore or library, or both (a guideline for doing this is available at www.dreamchange.org). Develop a presentation for a nearby elementary school on your favorite subject (sports, cooking, ants - almost anything), and use it to help students wake up to the true nature of the society they are inheriting. Send e-mails to all the addresses in your file, expressing feelings triggered by this and other books you read. But I suspect you have already thought of most of these things. You just need to pick a couple that most appeal to you and do them, and to realize that all of these are part of a much greater commitment that you and I must make. We must commit ourselves absolutely and unequivocally to shaking ourselves and everyone around us awake. We must hear the wisdom of the prophecies, open our hearts and minds to the possibilities, become conscious, and then take action. However, this book is not a prescription; it is a confession, pure and simple. It is the confession of a man who allowed himself to become a pawn, an economic hit man; a man who bought into a corrupt system because it opened so many perks, and because buying in was easy to justify; a man who knew better but who could always find excuses for his own greed, for exploiting desperate people and pillaging the planet; a man who took full advantage of the fact that he was born into one of the wealthiest societies history has ever known, and who also could pity himself because his parents were not at the top of the pyramid; a man who listened to his teachers, read the textbooks on economic development, and then followed the example of other men and women who legitimatize every action that promotes global empire, even if that action result in murder, genocide, and environmental destruction; a man who trained others to follow in his footsteps. It is my confession. The fact that you have read this far indicates that you can relate on some personal level to my confession, that you and I share a lot in common. We may have traveled different roads, but we have driven similar vehicles, used the same fuels, and stopped to eat at restaurants owned by the same corporations. For me, confessing was an essential part of my personal wake-up call. Like all confessions, it is the just step toward redemption. Now it is your turn. You need to make your own confession. When you come clean on who you are, why you are here during this time in history, why you have done the things you have -the ones you are proud of and those others - and where you intend to go next, you will experience an immediate sense of relief. It may be nothing less than euphoric. Believe me when I say that writing this book has been deeply emotional, and often a painful and humiliating experience. It has been frightening in a way nothing I ever faced before has been frightening. But it has opened me to a sense of relief I have never known until now, a feeling I can only describe as ecstatic. Ask yourself these questions. What do I need to confess? How have I deceived myself and others? Where have I deferred? Why have I allowed myself to be sucked into a system that I know is unbalanced? What will I do to make sure our children, and all children everywhere, are able to fulfill the dream of our Founding Fathers, the dream of life, liberty, and the pursuit of happiness? What course will I take to end the needless starvation, and make sure there is never again a day like September 11? How can I help our children understand that people who live gluttonous, unbalanced lives should be pitied but never, ever emulated, even if those people present them- selves, through the media they control, as cultural icons and try to convince us that penthouses and yachts bring happiness? What changes will I commit to making in my attitudes and perceptions? What forums will I use to teach others and to learn more on my own? These are the essential questions of our time. Each of us needs to answer them in our own way and to express our answers clearly, unequivocally. Paine and Jefferson and all the other patriots are watching over our shoulders. Their words continue to inspire us today. The spirits of those men and women who left their farms and fishing boats and headed out to confront the mighty British Empire, and of those who fought to emancipate the slaves during the Civil War, and of those who sacrificed their lives to protect the world from fascism, speak to us. As do the spirits of the ones who stayed at home and produced the food and clothes and gave their moral support, and of all the men and women who have defended what was won on those battlefields: the teachers, poets, artists, entrepreneurs, health workers, the manual laborers... you and me. The hour is ours. It is now time for each and every one of us to step up to the battle line, to ask the important questions, to search our souls for our own answers, and to take action. Description: The National Constitution Center continues its look at national and Homeland Security post 9/11 in a Citizens' Constitutional Conversation with Richard Clarke, presidential adviser for two decades. Clarke offers an insider's look at terrorism in America by discussing his work of fiction, The Scorpion's Gate, as well as Against All Enemies, and his real life, real time experiences. Richard Clarke began his career as Presidential Security Advisor in 1973. Clarke provided national security advice to Ronald Reagan, George H.W. Bush, Bill Clinton, and George W. Bush. Clarke specializes in homeland security, counter-terrorism, and cyber-security. He was the counter-terrorism adviser on the U.S. National Security Council when the September 11th attacks occurred. Clarke's second book, The Scorpion's Gate, is his first endeavor into the world of fiction. The Scorpion's Gate is a geopolitical thriller set five years into the future. The novel is centered around a battle between the Middle East and the United States to procure oil. Located on Philadelphia's historic Independence Mall, the National Constitution Center is an independent, nonpartisan, nonprofit organization dedicated to increasing public understanding of the U.S. Constitution and its relevance to Americans' daily lives. For more information, call 215.409.6600 or visit www.constitutioncenter.org.